Stock status is current as of 4/23/2019 7:54 PMET. 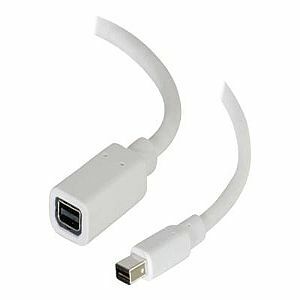 This extension cable is an ideal solution for adding length to an existing mini DisplayPort cable or extending the fixed mini DisplayPort cable of a computer monitor. This cable carries a digital audio/video signal. Built to DisplayPort 1.2 standards, this cable meets the requirements of high performance applications.